The new heroes of American healthcare do not have medical degrees. Many have only high school diplomas and perform their jobs with an additional year or two of formal training. On average, they earn $30,000 to $40,000 annually. A large number have never worked in healthcare before. They work as employees, and almost all are female. They are the indispensable go-to workers of the new American healthcare system because they are inexpensive to use and can be plugged into many different workflows within a medical setting. They are medical assistants. According to the Bureau of Labor Statistics, medical assistants perform both administrative and clinical duties under the direction of a physician. In 2014 there were almost 600,000 medical assistants employed in the U.S. Most of them work in physician offices, primarily in ambulatory-care settings. Employment of medical assistants is projected to grow 23% from 2014 to 2024, much faster than the average for all occupations, according to the BLS. Medical assistants have been around for decades, but they are being used more now than ever before. They make doctors' workdays easier, nurses able to devote more time to duties equal to their skills, and patients gain easier access to care. No other workers in healthcare are involved in such a variety of different duties. Physicians increasingly rely on assistants as their jack-of-all-trades support staff. Among their many roles, they take vital signs, conduct preliminary patient interviews, perform some patient testing and provide post-visit instructions and support. Many patients in primary care now have more face and phone time with a medical assistant than they do with their primary-care doctor, who increasingly is hidden from our view, funneled toward the most complex patient visits coming through their doors each day. Beyond their direct interface with patients, medical assistants support the quality reporting and performance measurement work in today's doctors' offices, often making sure quality data are complete and accurate within electronic health records, tracking down needed information, steering patients to required services, and getting performance data to the various insurance plans and accrediting agencies. This work is increasingly important for healthcare organizations to get paid and for patients to get better care. Heavy reliance on medical assistants to help meet production demands in healthcare raises two key questions. First, how can we better compensate these healthcare workers who are so vital to making the system work? With the minimum wage set to increase in states like California and New York to levels closer to the current mean hourly rates of many medical assistants, it is high time to recognize this occupation through pay commensurate with their ever-expanding job duties and responsibilities. Second, while the increased use of medical assistants in many patient-care tasks makes sense, the future role of the physician in sectors like primary care needs greater clarification. The use of medical assistants, nurses and physician assistants on the healthcare team is a key driver of improved value in the system. But this good idea should not give physicians more of an excuse to remove themselves further from a variety of patient-care tasks that can help them get to know their patients better. Strong doctor-patient relationships are essential to improving the quality of care, the patient experience, physician job satisfaction, and overall functioning of the healthcare team. Medical assistants I have encountered are pleasant, helpful individuals who take their jobs seriously and soften the growing harshness of overcrowded, impersonal medical offices bent on maximizing the number of transactions, but perhaps not the quality of individual relationships. They can offer sustained doses of compassion, listening and emotional support—which too many healthcare organizations and an increasing number of physicians do not provide as much as they should, despite frequent use of the term “patient engagement” within the industry. Without these workers in doctors' offices and ambulatory-care settings, our experiences as patients would probably be worse than they are now; physicians' work would be more time-pressured; the entire health quality measurement and reporting apparatus hindered; and access problems even more pronounced. Given the underwhelming proof at present that costly innovations like EHRs can consistently produce more efficient care and a better patient experience, it is refreshing to see that once again it is the people working on the front lines who make healthcare better. 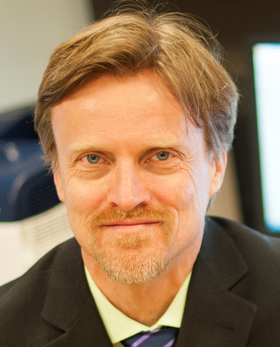 Timothy Hoff, Ph.D. is a professor of management, healthcare systems and health policy at Northeastern University, Boston; visiting associate fellow at Oxford University, and author of Practice Under Pressure: Primary Care Physicians and Their Medicine in the Twenty-First Century.